Whether it’s a regular gas boiler, combi boiler or system boiler, we will provide a full assessment and installation service. Contact us for a free quotation and a member of our experienced team will discuss arranging a visit. For new installations, unless otherwise specified we recommend installing Logic Boilers. Logic have a wide range of products that can suit many different solutions. Their combination of a superb build quality and the latest technology in their components provides a winnning solution. This is all backed by a manufacturer warranty that can span up to 10 years depending on the model installed. Yearly boiler services are a wise decision in the ongoing protection of the investment you have made in your heating system. 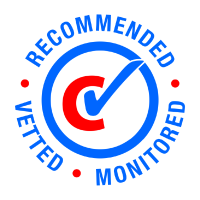 Not only are they sometimes required to validate the manufacturer warranty, they also give our engineer the opportunity to ensure that your system is running at optimum performance levels, this will maintain the lifespan of the system and help to prevent against any major system failures that can be very costly and inconvenient. They also give the opportunity to test for any Carbon Monoxide leaks, which left undetected and unresolved can be deadly. R.Foster takes gas safety seriously. Our engineers are on the Gas Safe Register and will have their official identity card when you ask to see it. If you would like to book a service on your existing boiler, or are thinking of upgrading your system and need some expert advice then please get in touch with us to arrange a visit.